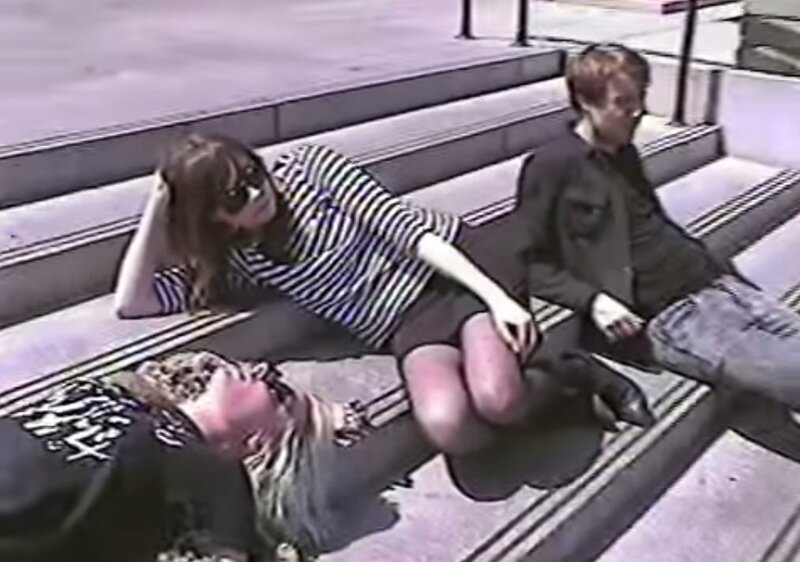 Canadian punk rock band White Lung have released a video for the song "Face Down," a track from their forthcoming third album Deep Fantasy. You can watch the video above. 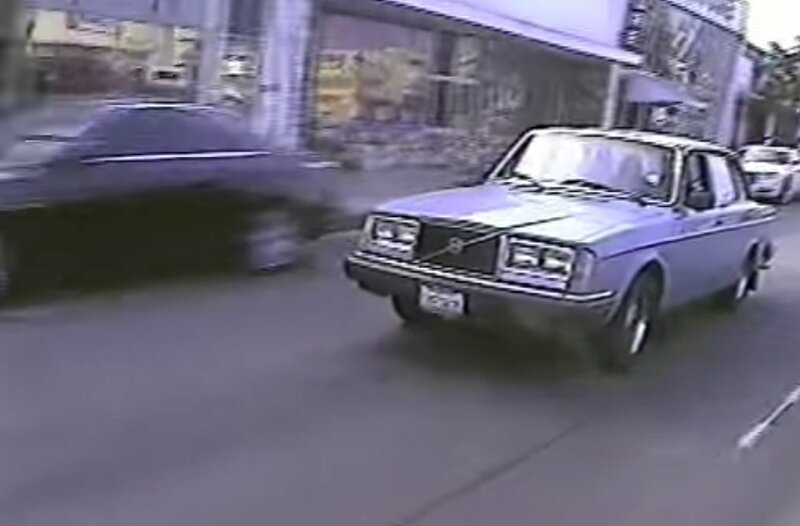 The homemade style video shows the band driving around town in an old model Volvo. 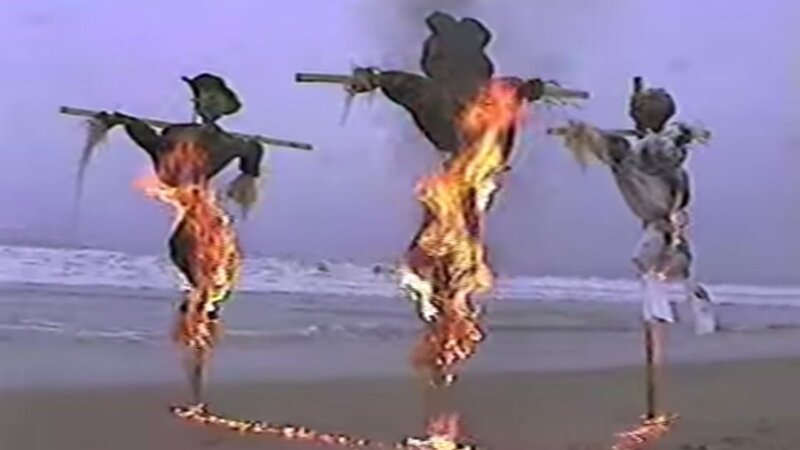 Vocalist Mish Way and drummer Anne-Marie Vassilou are in the backseat rocking out as guitarist Kenneth William lead the group on a journey to a beach, where they burn scarecrows. The pace of the video compliments the energy of the song; fast moving and never settling on one scene (or note) for too long. Overall, it's a group of friends being playfully goofy and enjoying the comradery that comes with being in a band. Basically, I had this really big vision for it where I wanted to rip off two different old videos, one involving Anthony Kiedis. But then, I asked Pierce McGary to do it and I knew he would have a totally different perspective and make it all "Pierce", which was exactly what I wanted. His filming style reflects this L7 video I love "Stuck Here Again" and he turned it out. Deep Fantasy comes out 6/17 via Domino Records, and is available for pre-order on iTunes. The band is currently on a summer world tour and you can find more information on their official website.